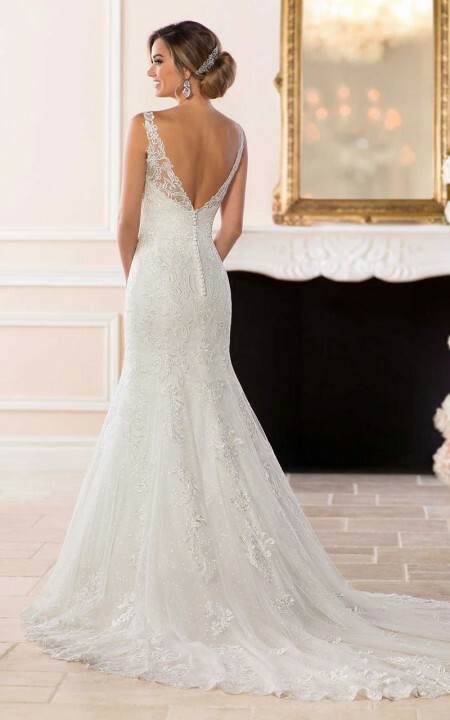 Layers of lace and tulle create a slim, modern mermaid shape that flares out just below the hips to create a beautiful shape to the wedding dress. 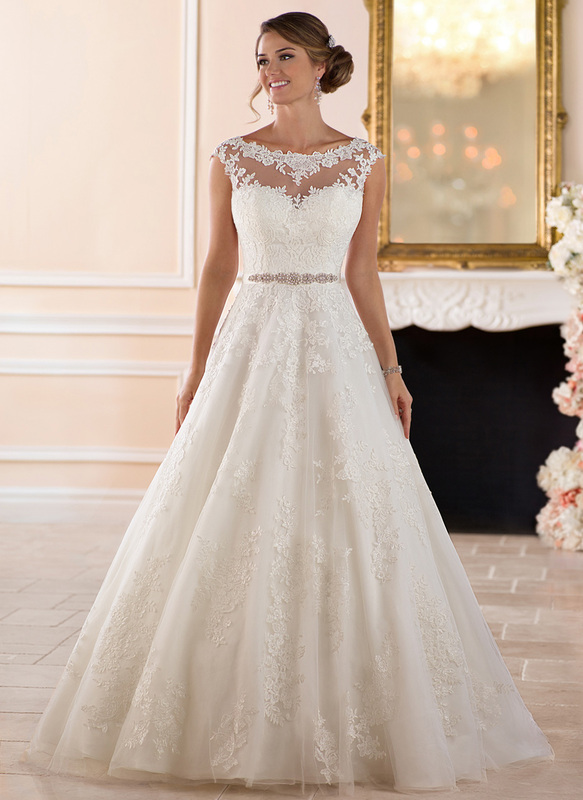 The skirt comes with the option of having a sparkling sequin tulle under the lace for even more glamour. 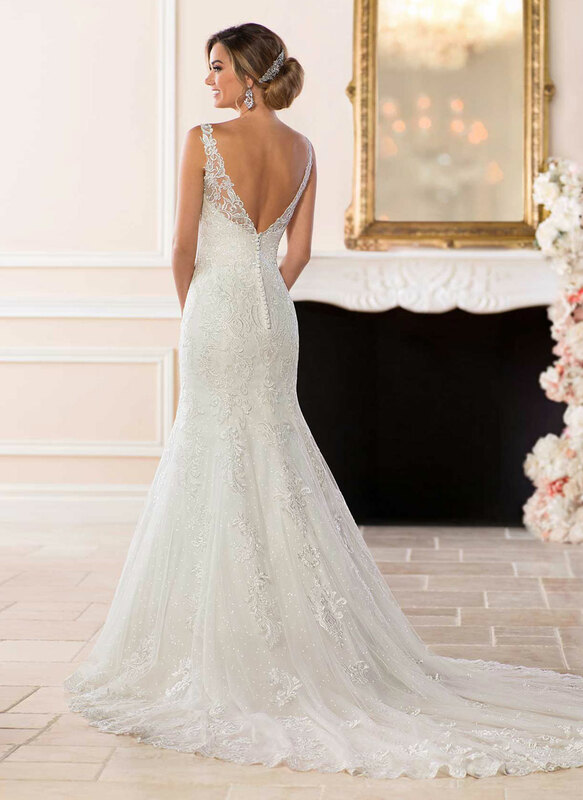 Deep, sheer side cutouts meet at an open back, which mirrors the plunging V-neckline. 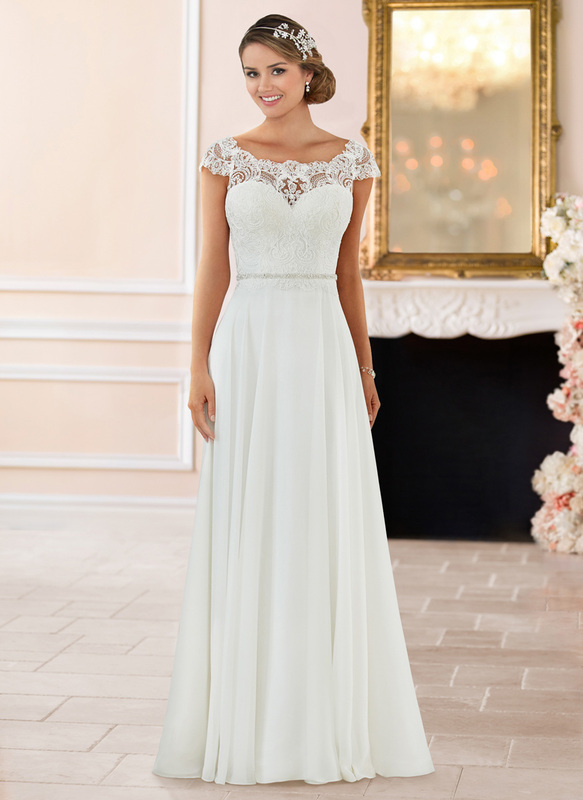 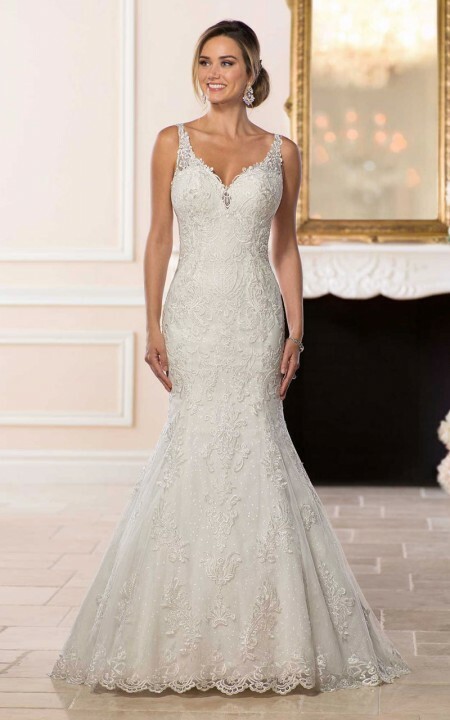 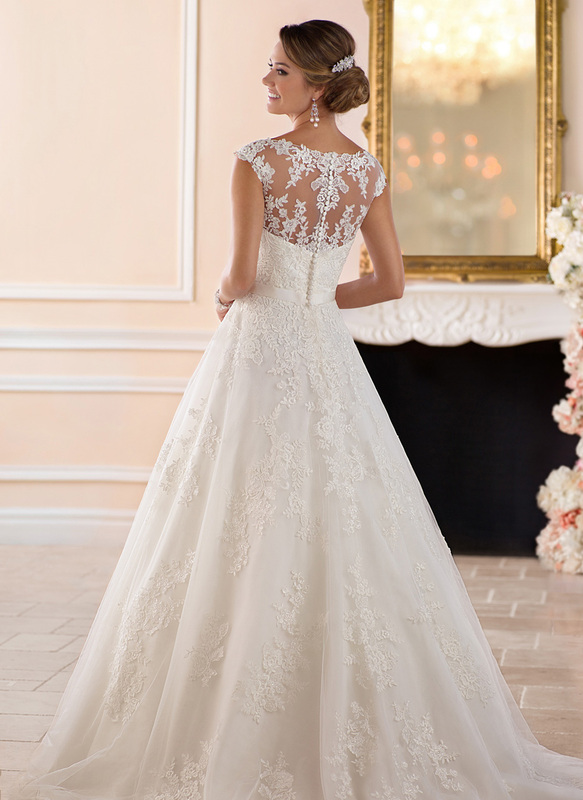 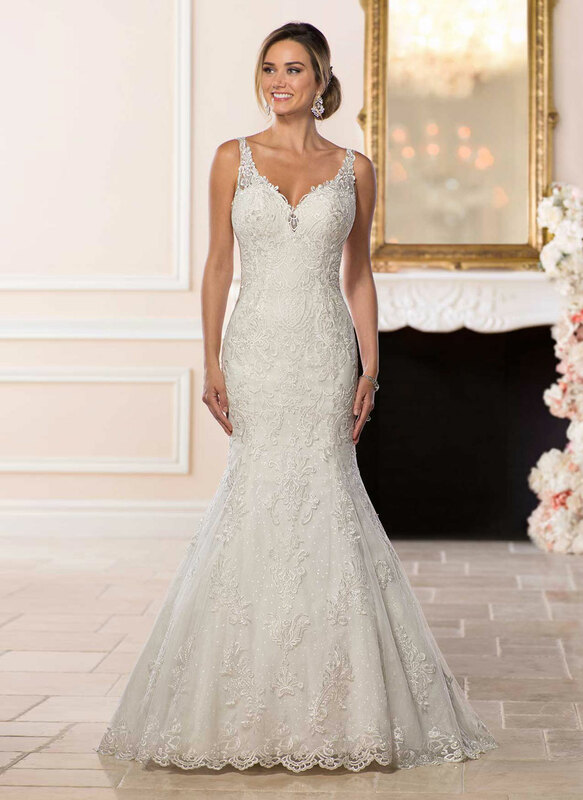 The layered floral lace fabrics creates movement and drama throughout the bodice and cathedral-length train, which is finished with a magnificent full lace hemline.